State lawmakers are considering whether to tighten eminent domain laws to help landowners battling pipeline companies, electric utilities, public agencies or other entities seeking to condemn land their land for public use. State lawmakers next session may renew an age-old clash between two intrinsically Texan values: property rights and energy interests. The Senate Committee on State Affairs heard testimony Tuesday on whether to tighten eminent domain laws to benefit landowners battling pipeline companies, electric utilities, public agencies or other entities seeking to condemn land their land for public use. Ahead of the 2017 legislative session, Lt. Gov. Dan Patrick charged lawmakers with studying whether landowners were being fairly compensated for lost property. The discussion comes as property rights skirmishes persist across Texas, including Big Bend-area landowners’ long-shot effort to thwart the Trans-Pecos natural gas pipeline through the largely untouched region. Several lawmakers on Tuesday sounded more sympathetic toward landowners. Despite reforms made in previous years, representatives of farmers, ranchers and other property rights advocates suggested that those with the power of eminent domain still have the upper hand. They said some parties make lowball early offers to landowners, who are often discouraged from appealing because of high legal fees that process may incur. Representatives of pipeline companies and others that use the tool pushed back against that characterization and described eminent domain proceedings as rare but necessary. They suggested that Senate Bill 18 — landmark legislation passed in 2011 that set up the current condemnation process — offered enough protections for landowners. A three-step process requires condemning entities to make an initial "good faith" offer. If parties don’t agree, a local judge will appoint three special commissioners’ to weigh estimates from appraisals hired by each side. If gridlock persists, the dispute can go to a jury trial. “Pipeline companies don’t have time to condemn 90 percent of the tracts on a pipeline project. No pipelines would go in the ground,” said Tom Zabel, an attorney representing the Texas Pipeline Association. On the 25-plus pipeline projects he has worked on over the past decade, the rate of condemnation averaged about 10 percent of the overall land needed, he said. 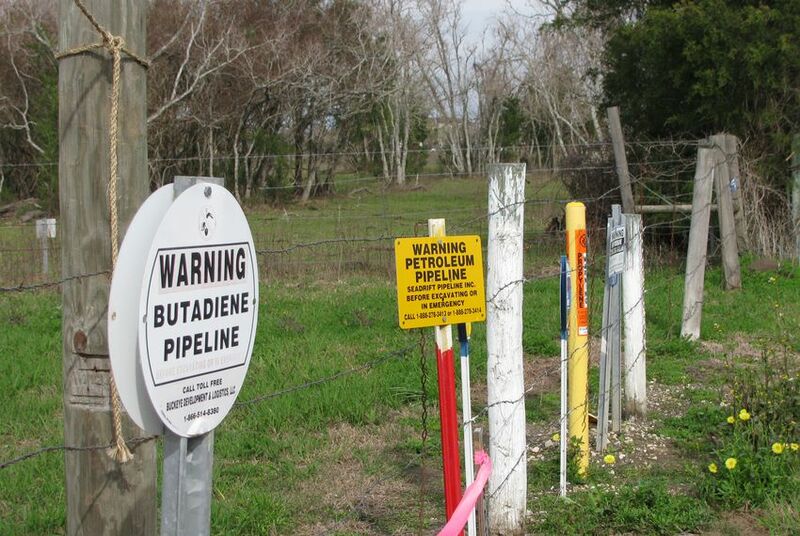 For cases that do go to trial, pipeline companies say local juries have been increasingly generous to landowners in recent years — at least when Texas’ oilfields were booming. But Judon Fambrough, an expert at the Texas A&M Real Estate Center, said going to court rarely pays off for landowners unless an appeal is worth some $500,000. Additionally, some condemning parties might include extra land — that which would not be eligible for condemnation — in their initial offers, and Texans might not realize they can outright refuse to give up such land. Among the changes Fambrough suggested: Discourage condemning parties from low-balling initial offers by requiring that they pay landowners’ attorney's fees if an appeal results in higher compensation above a certain threshold. That’s a provision Florida and a few other states have adopted. He also suggested that entities, in their initial offers, differentiate between land they can legally condemn and land they simply want. Critics argued that the fee requirement would lead to a flood of litigation that would stall essential projects and drive up costs. Tom Forestier, an attorney representing the Association of Electric Companies of Texas, whose members include companies that build power lines, said such changes would mainly benefit lawyers and suggested that landowners already have “home court advantage” when it comes to challenging initial offers. But Russell Boening, president of the Texas Farm Bureau — who considers eminent domain a “necessary evil” — said the deck is stacked against landowners, who lack the expertise and resources of companies and other entities that frequently deal with such matters. He said that incentivizing larger up-front offers might actually keep more disputes out of the courts. Disclosure: The Association of Electric Companies of Texas, Texas A&M University, the Texas Farm Bureau, and the Texas Pipeline Association are major corporate sponsors of The Texas Tribune. The Texas Public Policy Foundation has been a corporate sponsor of The Texas Tribune. A complete list of Tribune donors and sponsors can be viewed here.